I like the idea of Warrington and Copley as a pair of bad guys. 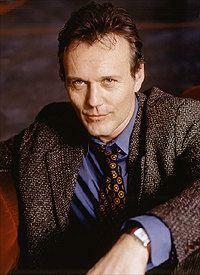 Anthony Stewart Head of the '80s Gold Blend ads and Buffy The Vampire Slayer should have been in The Professionals too as he began acting on TV in the mid/late '70s. He would have been great as an assassin, a rookie CI5 agent or a young terrorist gang member. Maybe Harrison Ford as an FBI agent or US attache based in London?